^ 1.0 1.1 1.2 Neptune. Solarviews. [2007-08-13]. ^ 2.00 2.01 2.02 2.03 2.04 2.05 2.06 2.07 2.08 2.09 2.10 2.11 2.12 2.13 2.14 2.15 Williams, Dr. David R. Neptune Fact Sheet. NASA. 2004-09-01 [2007-08-14]. ^ Orbital elements refer to the barycenter of the Neptune system, and are the instantaneous osculating values at the precise J2000 epoch. Barycenter quantities are given because, in contrast to the planetary centre, they do not experience appreciable changes on a day-to-day basis from to the motion of the moons. 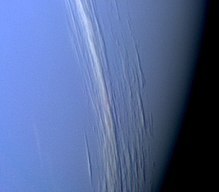 ^ "Neptune overview 互联网档案馆的存檔，存档日期2008-03-03.," Solar System Exploration, NASA. ^ Suomi, V. E.; Limaye, S. S.; Johnson, D. R. High winds of Neptune - A possible mechanism. Science. 1991, 251: 929–932. Bibcode:1991Sci...251..929S. doi:10.1126/science.251.4996.929. ^ T. R. Spilker and A. P. Ingersoll（2004年11月9日）. Outstanding Science in the Neptune System From an Aerocaptured Vision Mission 互联网档案馆的存檔，存档日期2007-10-27.. 36th DPS Meeting, Session 14 Future Missions. ^ Hirschfeld, Alan. Parallax:The Race to Measure the Cosmos. 纽约，纽约: Henry Holt. 2001. ISBN 0-8050-7133-4. ^ Britt, Robert Roy. Galileo discovered Neptune, new theory claims. MSNBC News. 2009 [2009-07-10]. ^ Kollerstrom, Nick. Neptune's Discovery. The British Case for Co-Prediction.. Unuiversity College London. 2001 [2007-03-19]. （原始内容存档于2005-11-11）. ^ DIO 9.1（1999年6月）; William Sheehan, Nicholas Kollerstrom, Craig B. Waff（2004年12月）. The Case of the Pilfered Planet - Did the British steal Neptune? Scientific American. 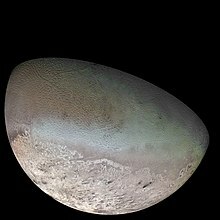 ^ Hind, J. R. Second report of proceedings in the Cambridge Observatory relating to the new Planet (Neptune). Astronomische Nachrichten. 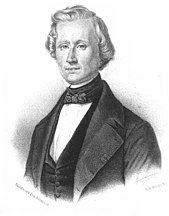 1847, 25: 309. Bibcode:1847AN.....25..309.. Smithsonian/NASA Astrophysics Data System (ADS). 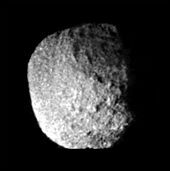 ^ Using Eyepiece & Photographic Nebular Filters, Part 2 (October 1997) WebCite的存檔，存档日期2012-10-18. Hamilton Amateur Astronomers at amateurastronomy.org. ^ 19.0 19.1 Hubbard, W. B. Neptune's Deep Chemistry. Science. 1997, 275 (5304): 1279–1280 [2008-02-19]. PMID 9064785. doi:10.1126/science.275.5304.1279. ^ 21.0 21.1 21.2 21.3 21.4 Lunine, Jonathan I. The Atmospheres of Uranus and Neptune (PDF). Lunar and Planetary Observatory, University of Arizona. 1993 [2008-03-10]. ^ 22.0 22.1 22.2 Elkins-Tanton (2006):79–83. ^ 23.0 23.1 Encrenaz, Therese. ISO observations of the giant planets and Titan: what have we learnt?. Planet. Space Sci. 2003, 51: 89–103. Bibcode:2003P&SS...51...89E. doi:10.1016/S0032-0633(02)00145-9. ^ Porter, W. S., Astr. J., 66, 243–245 (1961). 5. ^ Ramsey, W. H., Planet. Space Sci., 15, 1609–1623 (1967). ^ Missions to Neptune. The Planetary Society. 2007 [2007-10-11]. ^ Gazetteer of Planetary Nomenclature Ring and Ring Gap Nomenclature (December 8, 2004). USGS - Astrogeology Research Program. ^ Neptune's rings are fading away. New Scientist. 2005-03-26 [2007-08-06]. ^ Trio of Neptunes. Astrobiology Magazine. 2006年5月21日 [2007-08-06]. ^ Crisp, D.; Hammel, H. B. Hubble Space Telescope Observations of Neptune. Hubble News Center. 1995-06-14 [2007-04-22]. ^ Williams, Sam. Heat Sources Within the Giant Planets. 2004 [2007-10-10]. （原始内容 (DOC)存档于2007-10-25）. 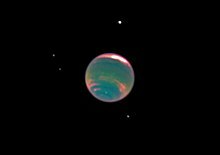 ^ Neptune has a 'warm' south pole, astronomers find. Yahoo! News. 2007-09-19 [2007-09-20]. ^ Kelly Beatty. Neptune's Newest Moon. Sky & Telescope. 2013-07-15 [2013-07-15]. （原始内容存档于2013-07-16）. ^ Five new moons for planet Neptune. BBC News. 2004-08-18 [2007-08-06]. ^ Moore, Patrick. The Data Book of Astronomy. 2000: 207. ^ Horizons Output for Neptune 2010-2011. [2007-11-14]. （原始内容存档于2008-12-10）. ^ Beebe R. The clouds and winds of Neptune. Planetary Report. 1992, 12: 18–21. Bibcode:1992PlR....12b..18B. ^ Fascination with Distant Worlds. SETI Institute. [2007-10-03]. （原始内容存档于2007-11-03）.